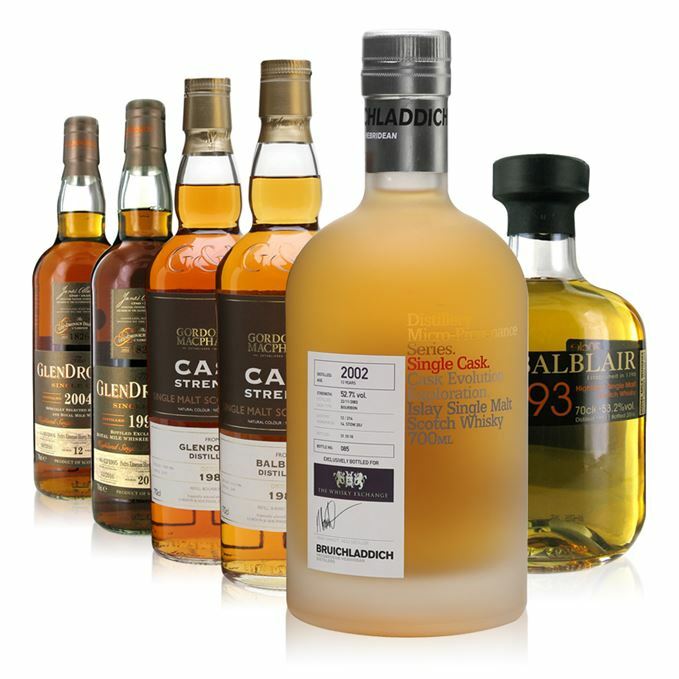 This week is a retailer exclusive face-off, featuring bottlings from Royal Mile Whiskies (RMW) and The Whisky Exchange (TWE). 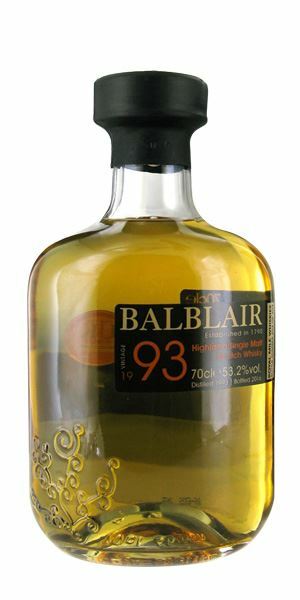 RMW enters the ring with a more ‘exotic’ but ‘lighter-style’ 1993 Balblair, before TWE pulls out its own Balblair – a 30-year-old with sweet dried fruits and a limited run of 48 bottles. 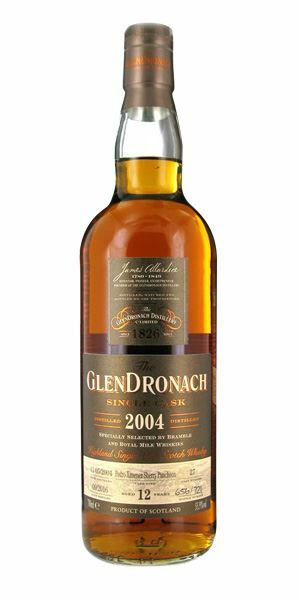 On to another TWE whisky hit now, this time a ‘rather delightful’ 13-year-old Bruichladdich that’s part of the distillery’s ‘micro-provenance’ series, before RMW pulls a punch-eon with a 12-year-old GlenDronach that’s all ripe black fruits with an earthy undertone. 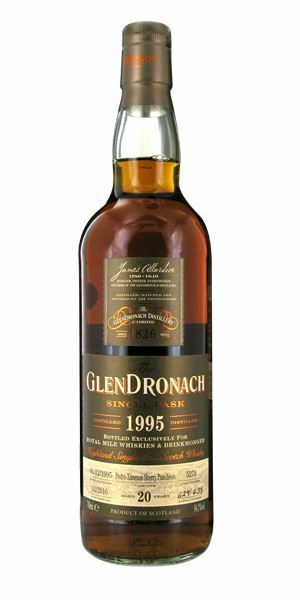 RMW takes another swipe with a 20-year-old GlenDronach with sweet liquorice, fig rolls and coffee, before TWE ends with a ‘simply gorgeous’ swing in the form of a 30-year-old Glenrothes. As far as scoring goes, Dave Broom rates these all rather highly. We’ll call it a draw. Brimming with orange blossom, lily of the valley, lemon curd and some vanilla behind. In time, a nutty edge develops along with dry sweetgrass and apple. Water increases the mature notes. A more substantial palate where the weight of age becomes more overt. It’s still floral – and more exotic – all frangipani blossom and hot house aromas, along with some light lemon barley water, vanilla ice cream and almond milk. Just needs a little water, which soften it, pulls out some sandalwood and adds a hint of sweet spice. Its chewy texture now given balance by a light, oaky grip. 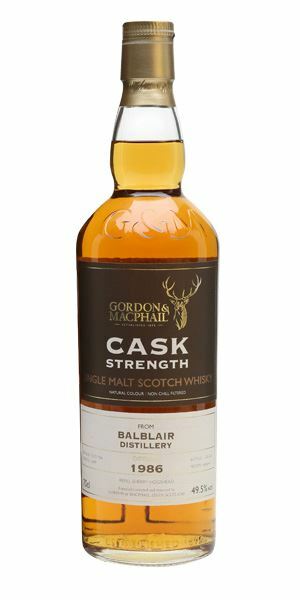 A classic lighter-style Balblair, with low cask influence but excellent maturity. Plant hunting in the Himalayas. Rounded and polished, with sealing wax and a lightly nutty background to start with. Then comes light girolle mushroom, cedar and sultana. Water increases the light Sherry notes, but also brings out a sweetness akin to seaside rock and nougat. Quite firm. Softer than you expect with delicate violet and lavender initially. The fruits are ripe. Quite cask-driven and slightly dry on the second phase with some aromatic spices. Water brings in more of the distillery chewiness and mid-palate weight. Gentle with some sweet dried fruit. 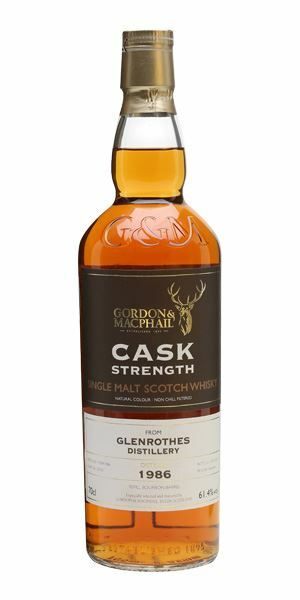 Delicious, and while the cask is more overt than the Royal Mile Whiskies expression, it’s 30 years old… but apparently there are only 48 bottles. Memories of the seaside in an autumn wood. Starts with Trumper’s West Indian lime shaving soap, some light honeycomb, buttermilk and floury white pepper. Becomes steadily fatter, moving into lemon posset, bread and butter pudding and a grassy edge. Water, for some reason, pulls out shoe polish and a touch of mid-ester Jamaican rum. … adding a flavour and texture like powdered milk. 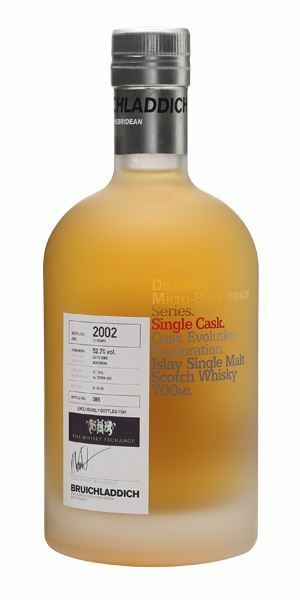 A single (ex-Bourbon) cask from the distiller’s ‘micro-provenance’ series. Only 240 bottles and rather delightful. Making soda bread while dreaming of Jamaica. This comes from a PX puncheon, which has added funky Sherried sweetness, black fruits and a little nut that’s hinting at pickled walnut. The distillery, meanwhile, adds earthy, sweet depth. Becomes leathery with Armagnac-soaked plums and, surprisingly for a 12-year-old, touches of gaminess tempered by thick sweetness. A sweet, ginger-like spice runs underneath. Water brings out more of the PX. Bold. Sweet again, but cut with red miso, roasted red pepper, black cherry. Moves from the savoury on the front to a dark sweetness on the end. Those ripe black fruits add a supple bass line, while that earthy power brings to mind a good red Rhône. Split between Royal Mile Whiskies and Edinburgh’s mighty Bramble bar. Have a dram, then buy a bottle. Seems a good plan. Funky with a wild glint in the eye? It can only be Parliament. Another PX puncheon and while there are similarities to the 12-year-old, extra time in cask has given this a more animalic air and savoury, soy-like sweetness. There’s walnut again, heavy raisin, some menthol then venison (to be honest it’s more yak, but can’t imagine many of you will have tasted that). It starts to sweeten in time with gingerbread, candied peel and raisin. While it exerts a fair grip, it’s calmed by the sheer depth and power. I fancy there’s a hint of smoke, some nutty slack, sweet liquorice and supple power. Fig rolls and black coffee. This has depth, the other has length. Excellent. Finn MacCool heading over the Giant’s Causeway with a bag of Liquorice Allsorts in his mighty paw. Full-on rancio, all old cellar, decaying fruit, autumn earth, wild mushroom and a savoury waxiness. There’s also touches of gun oil and in the background a sweet mash note reminiscent of cattle feed steaming in the byre in winter. Complex, mature and intriguing. Becomes more scented with a drop of water (and just a drop) which brings out masses of sandalwood and cured leather. A classic old Rothes. Layered with beautiful balance between the scented, waxy fruits, roasting nuts, and the gentle oak. A thick, roiling mass of fruit. Mature and ripe, with just enough tannin to grip and sufficient of that varnished glossiness of age to add another dimension. Water adds aromatics. Simply gorgeous – but there are only 62 bottles. Quietly discussing Romantic poetry with your old tutor.